Guests can truly relax when they get back from work or sightseeing in the separate dining and lounge areas. 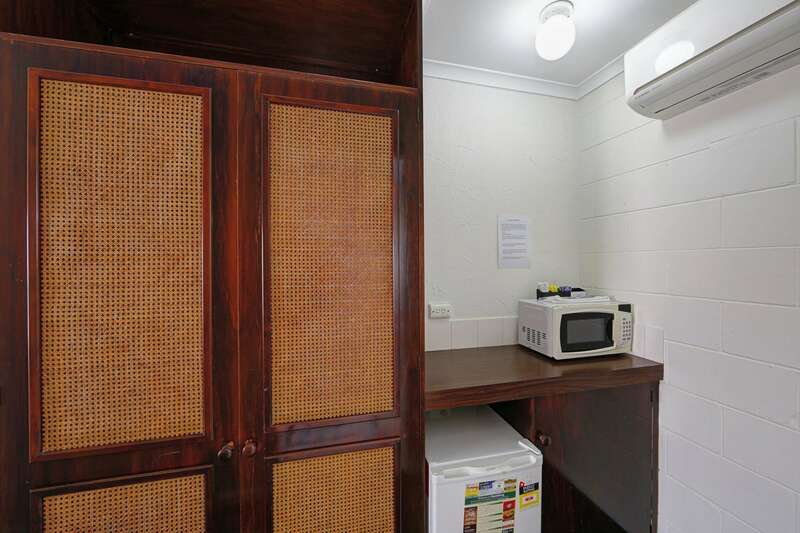 There is a fully self-contained kitchen with oven, stovetop, crockery, cutlery, cooking materials and full-sized fridge. 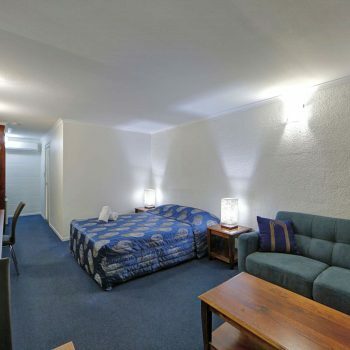 The room has free pay-tv and unlimited wireless NBN. 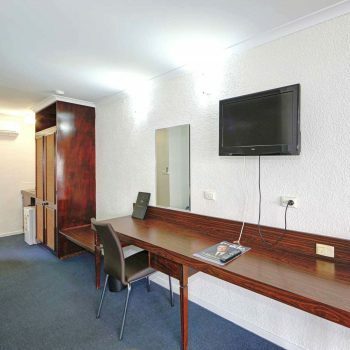 The bedroom has a queen-sized bed and computer desk. 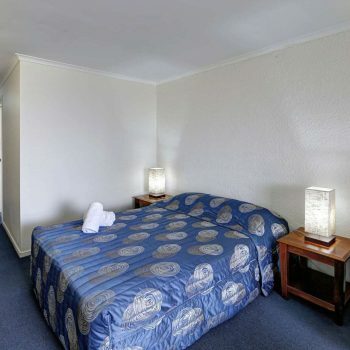 This is the quietest and most private room at the motel. 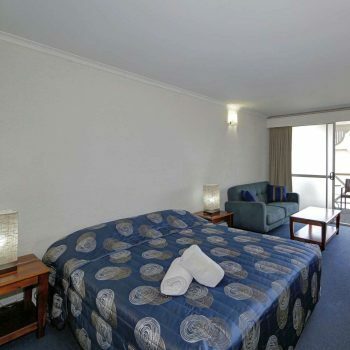 It features a queen bed as well as lounge area with a coffee table. 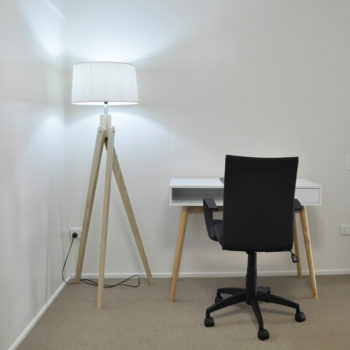 There is bench space for guests working away from home and a separate dining table. 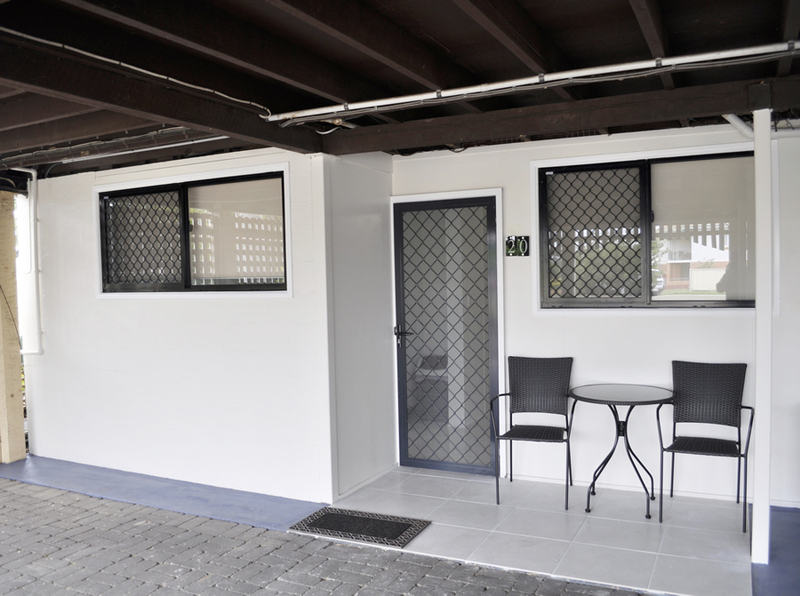 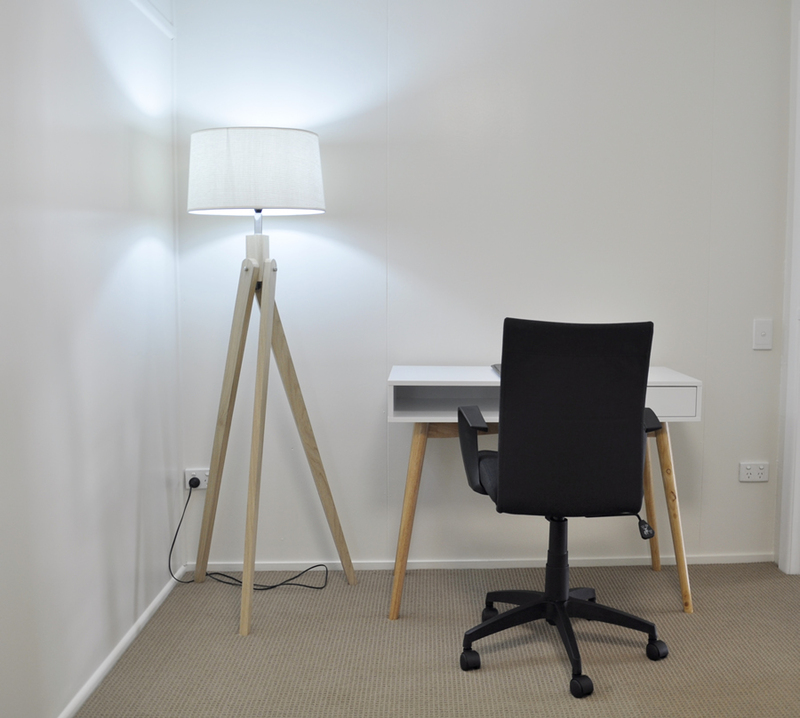 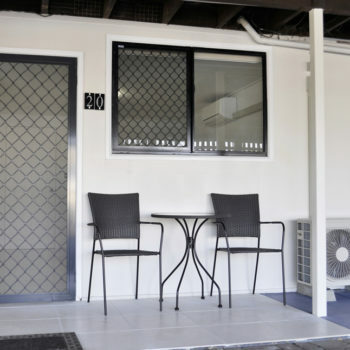 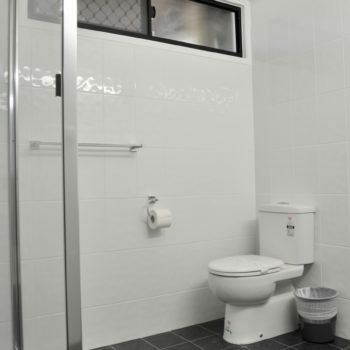 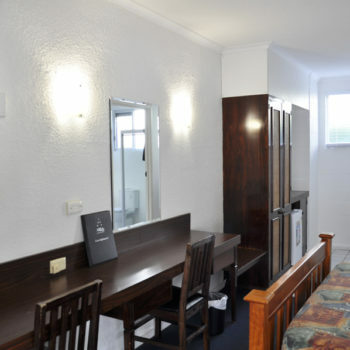 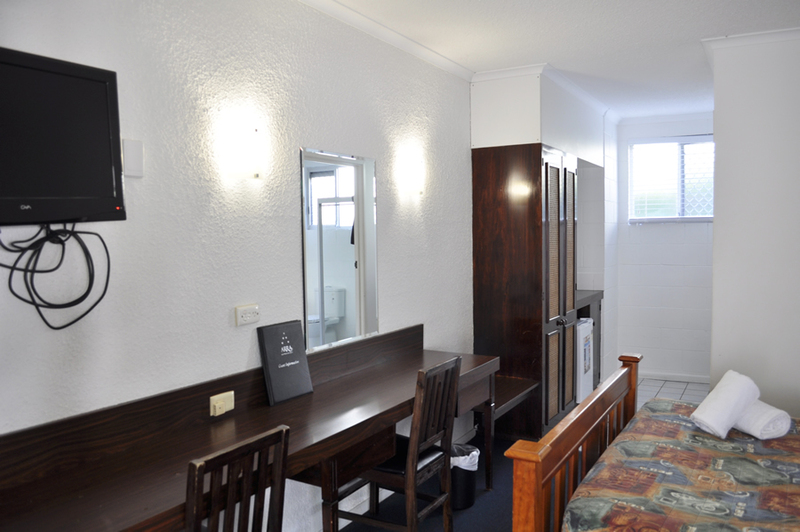 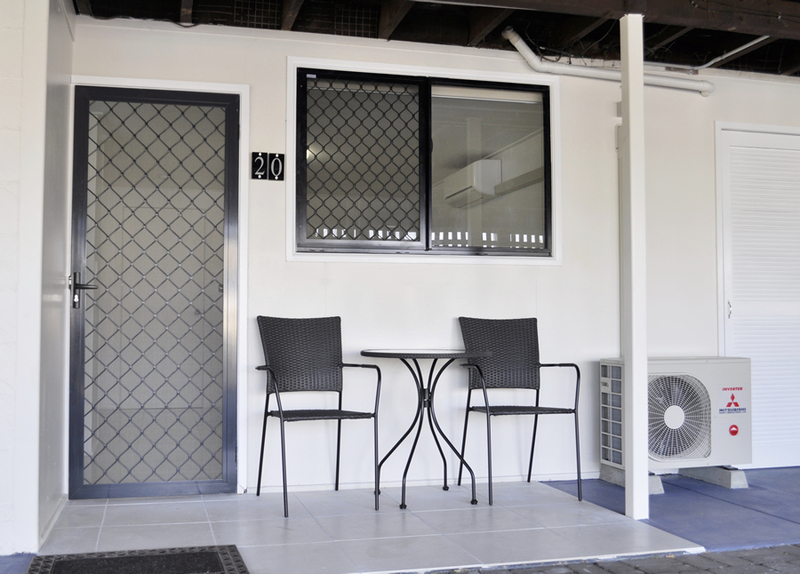 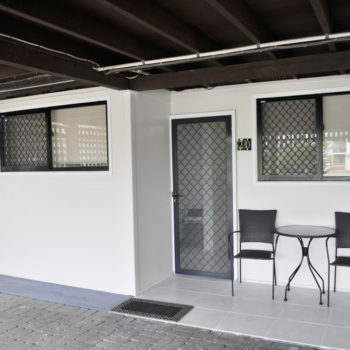 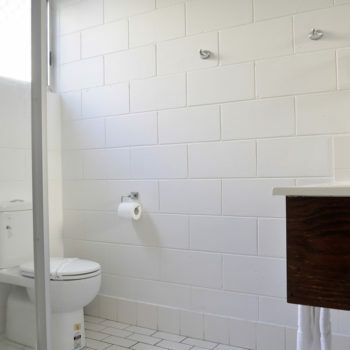 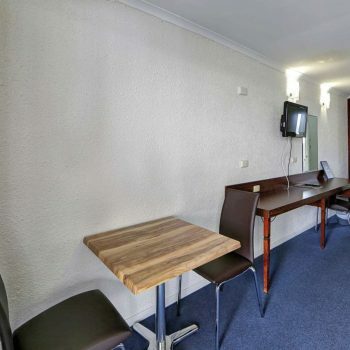 The room has free pay-tv, unlimited wireless NBN and basic cooking facilities. 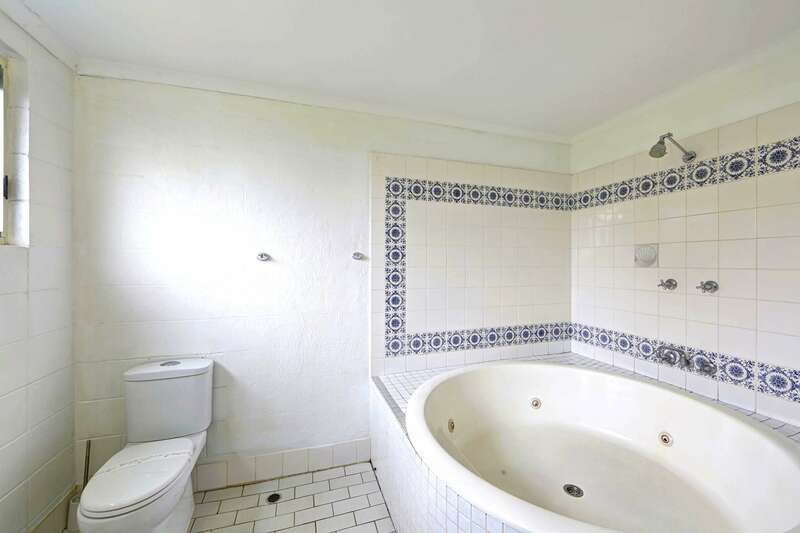 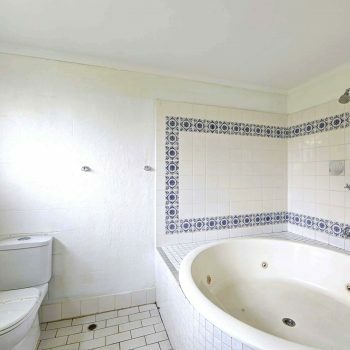 There is a huge spa in the bathroom. 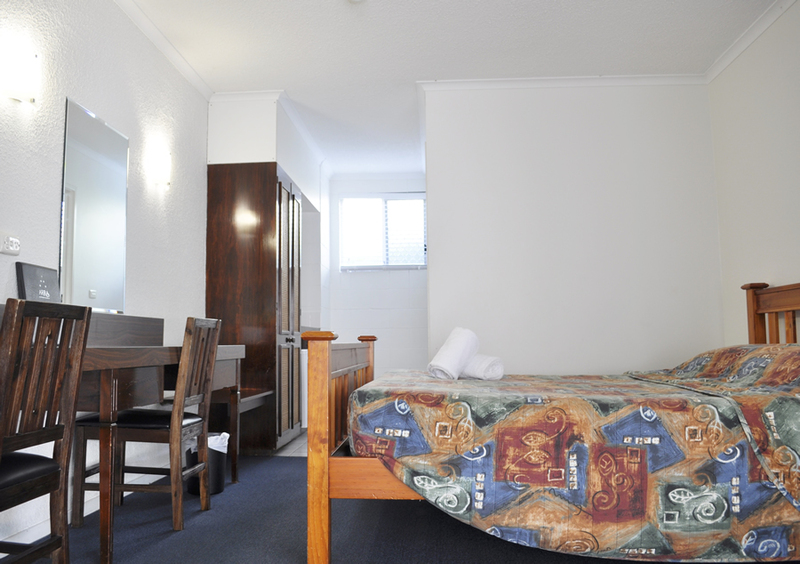 Executive Suites are on the second floor. 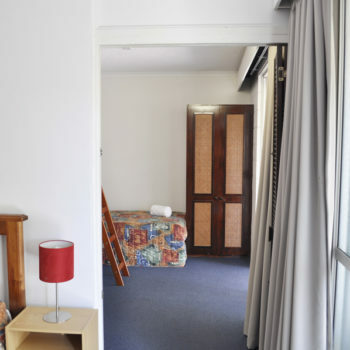  Guests can see Alexandra Park from the balcony. 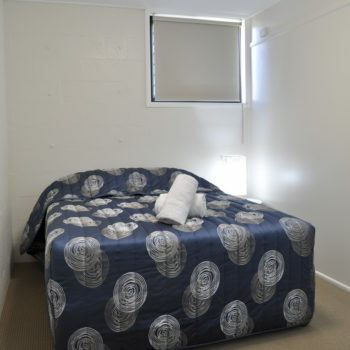 They feature a queen and single bed divided by a wall, sleeping a maximum of three people. 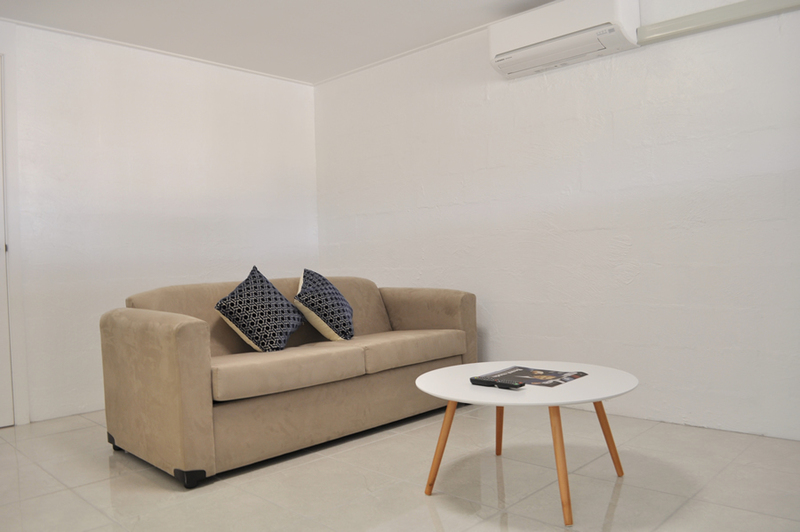 There is a lounge area with couch and coffee table. 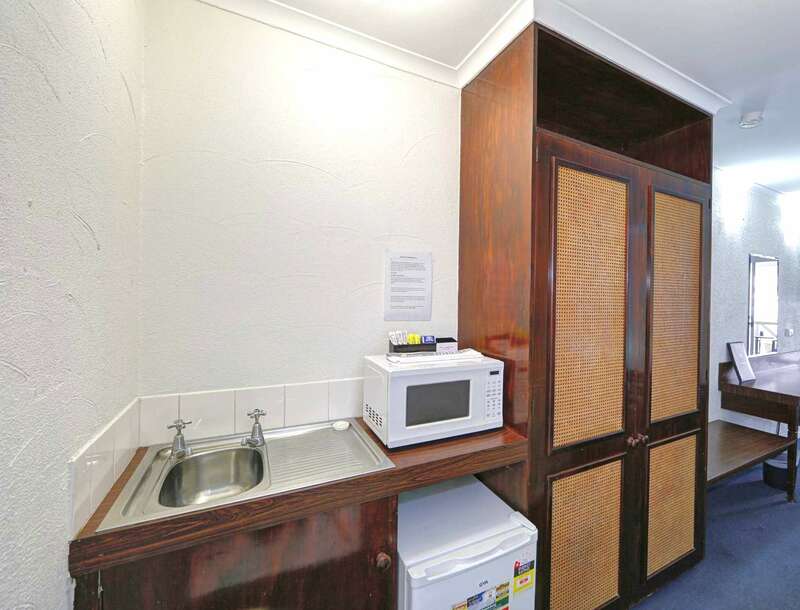 There is bench space for guests working away from home and a separate dining table. 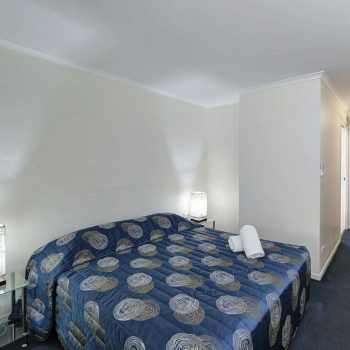 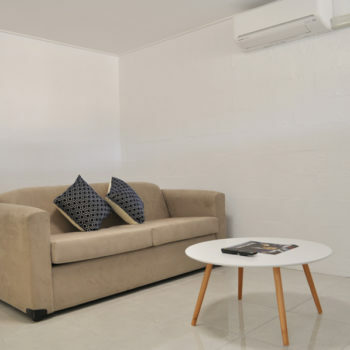 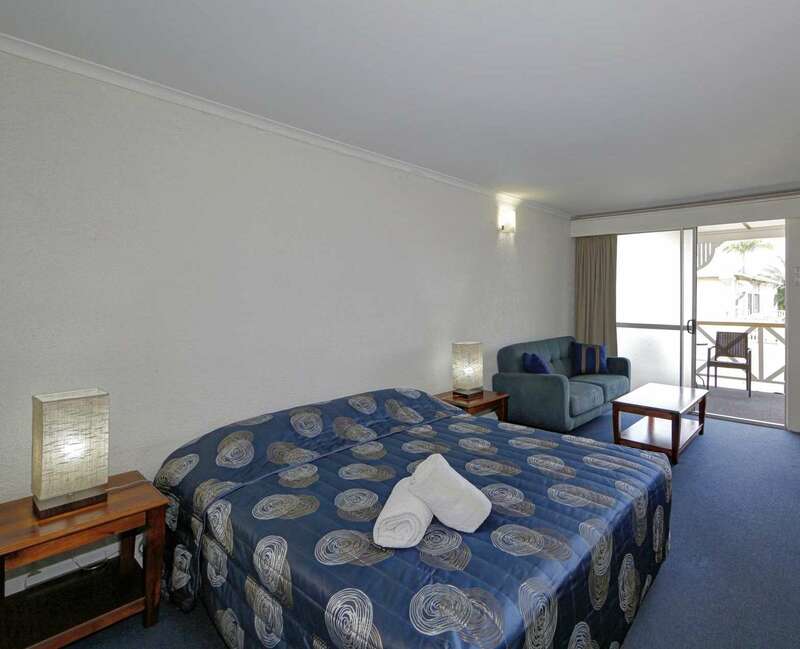 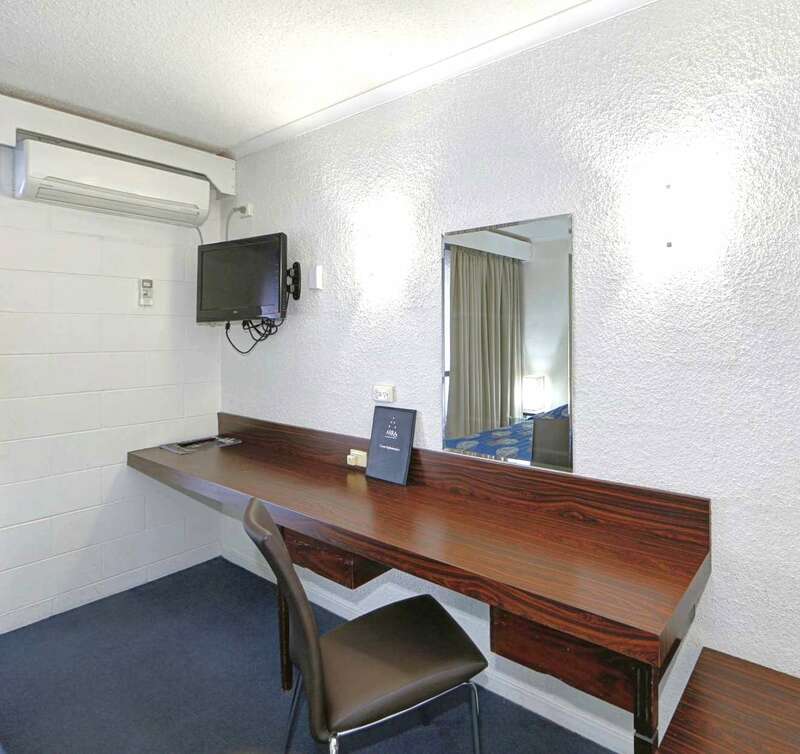 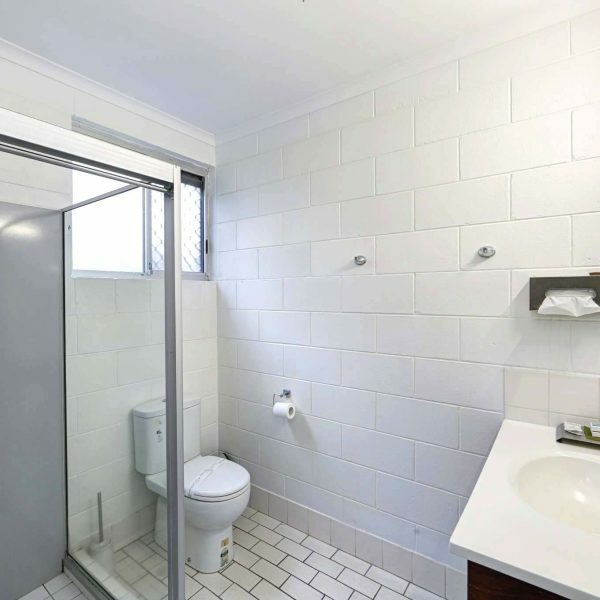 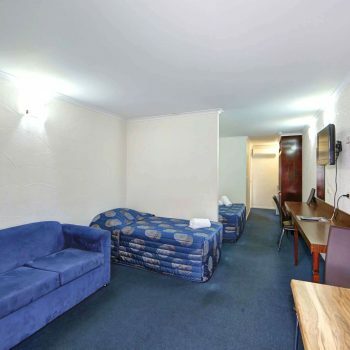 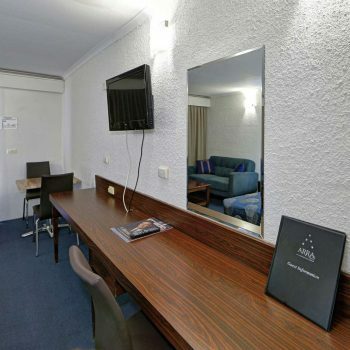 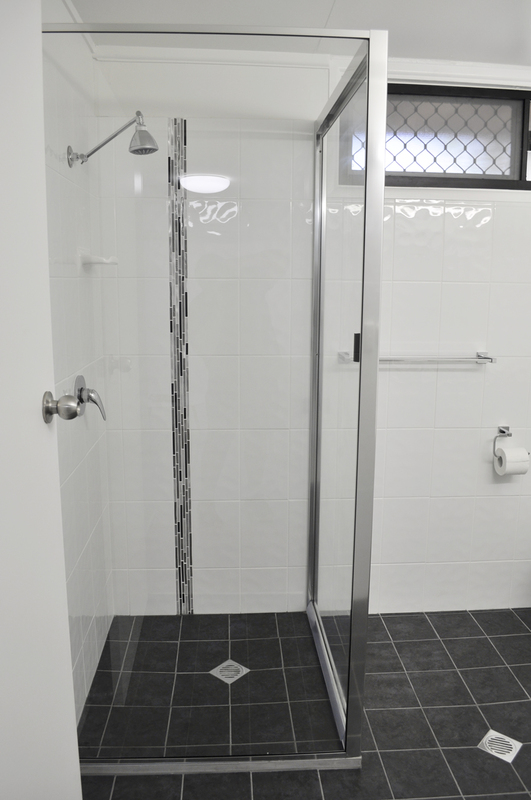 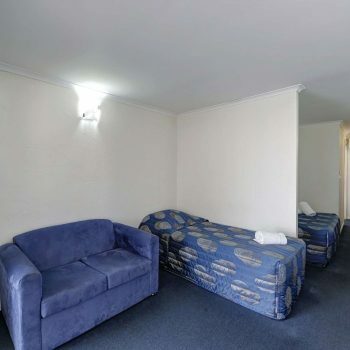 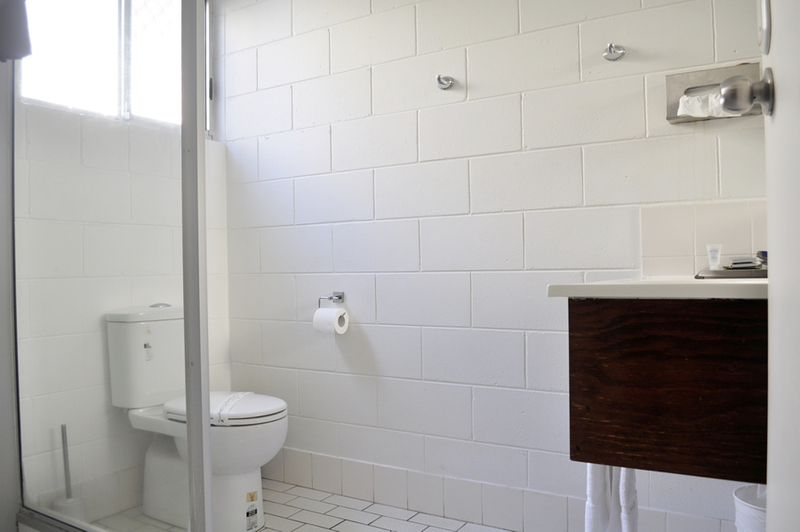 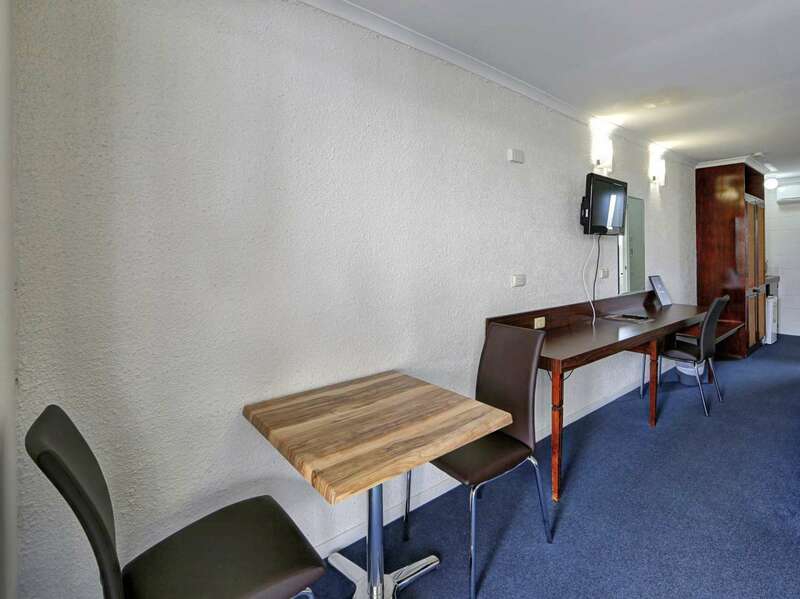 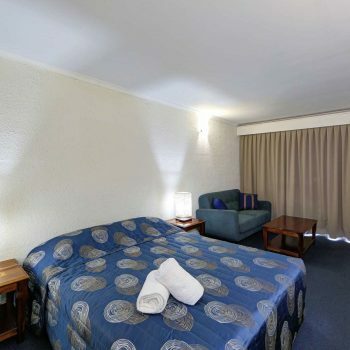 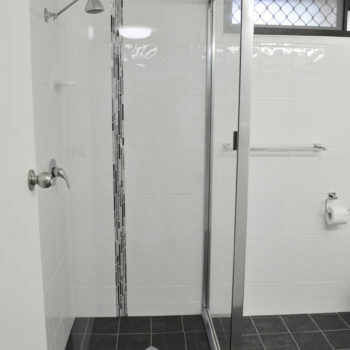 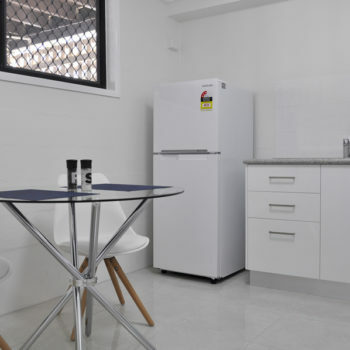 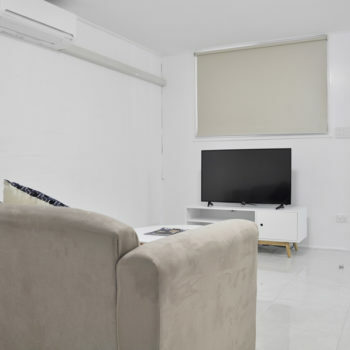 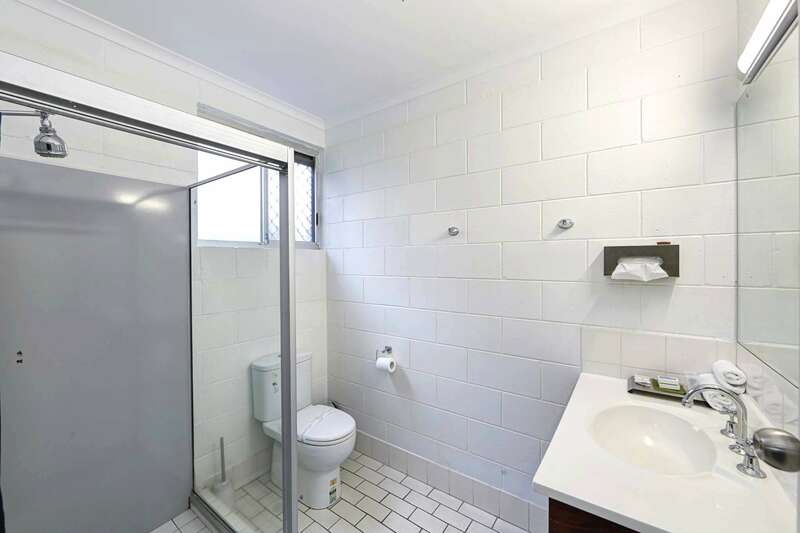 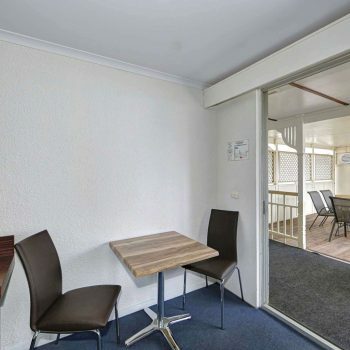 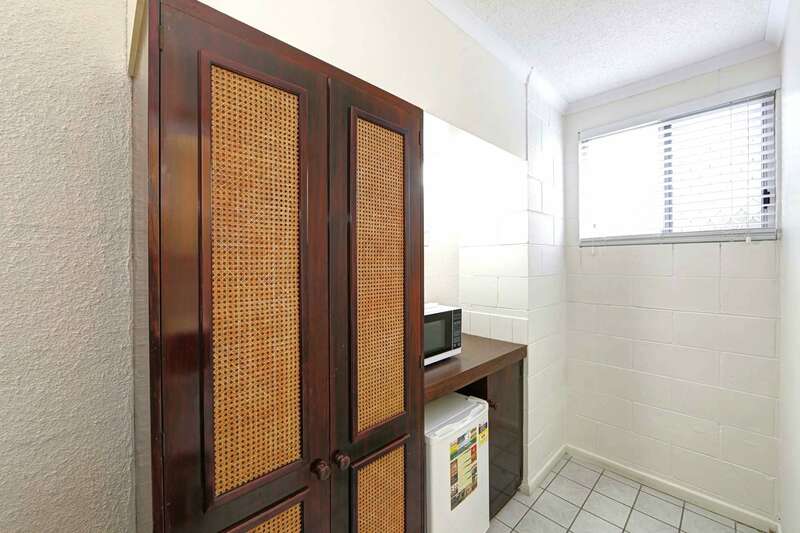 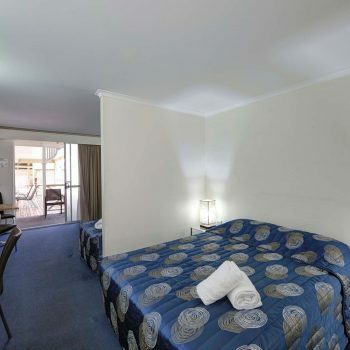 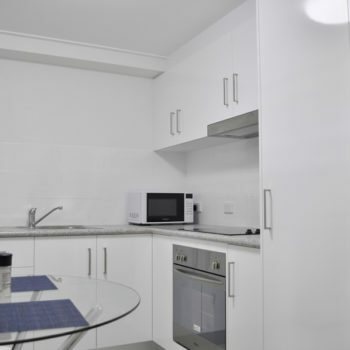 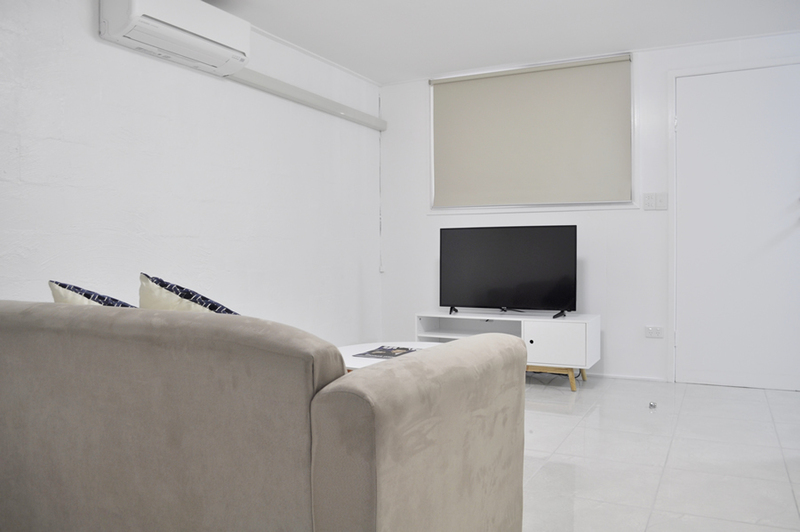 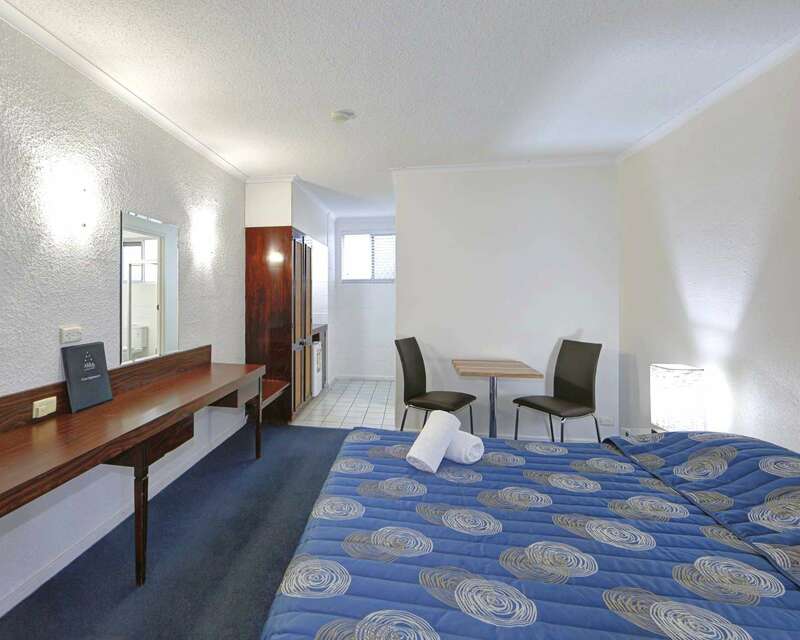 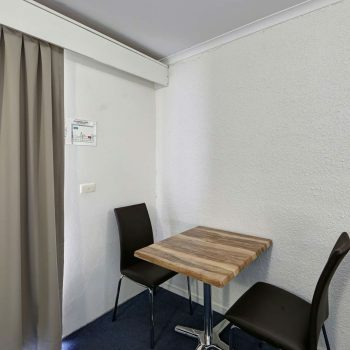 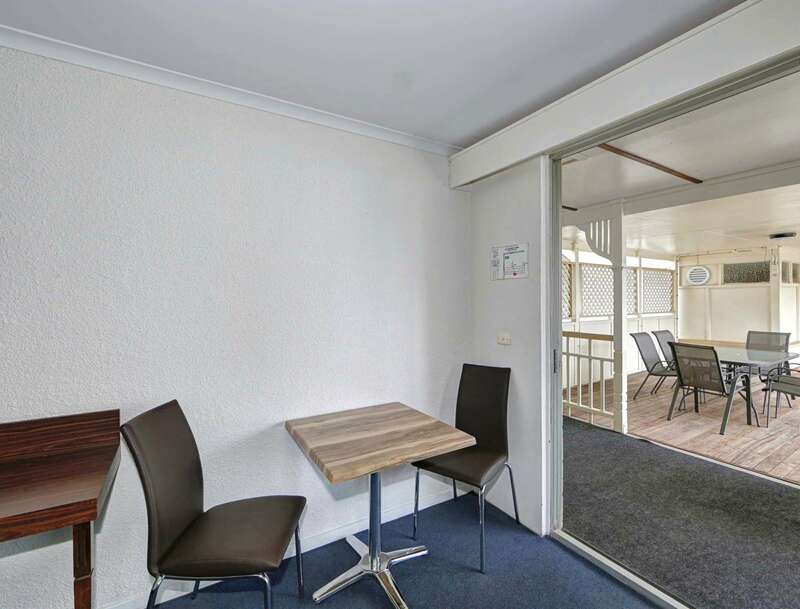 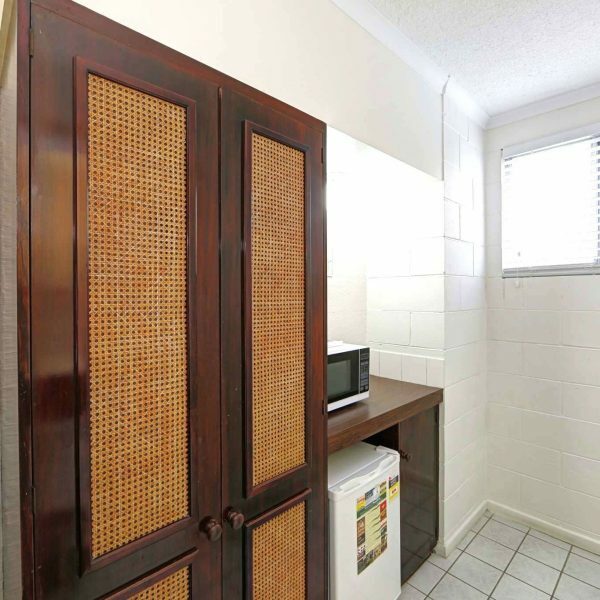 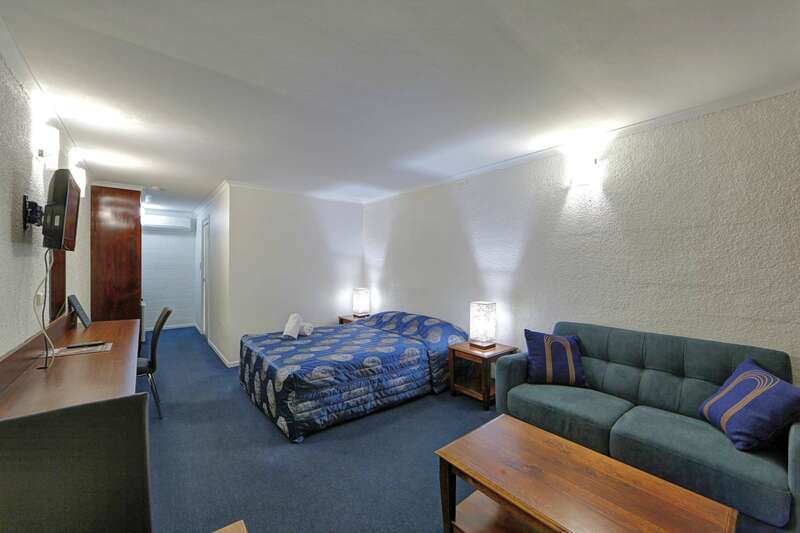 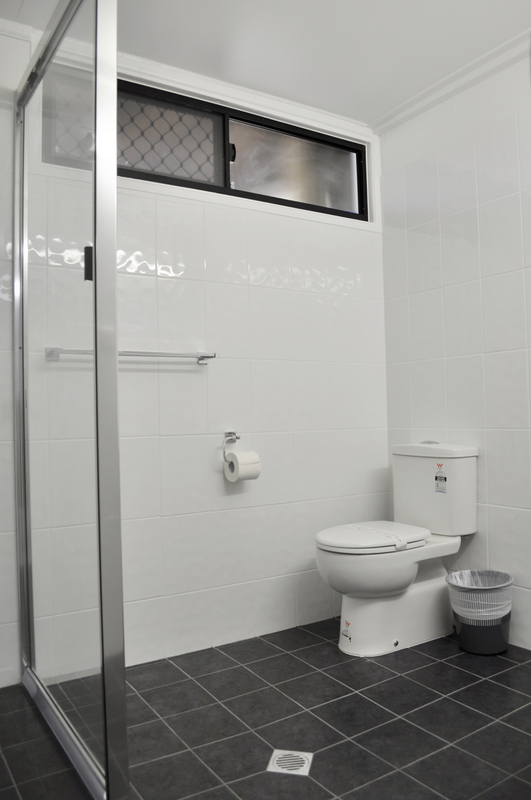 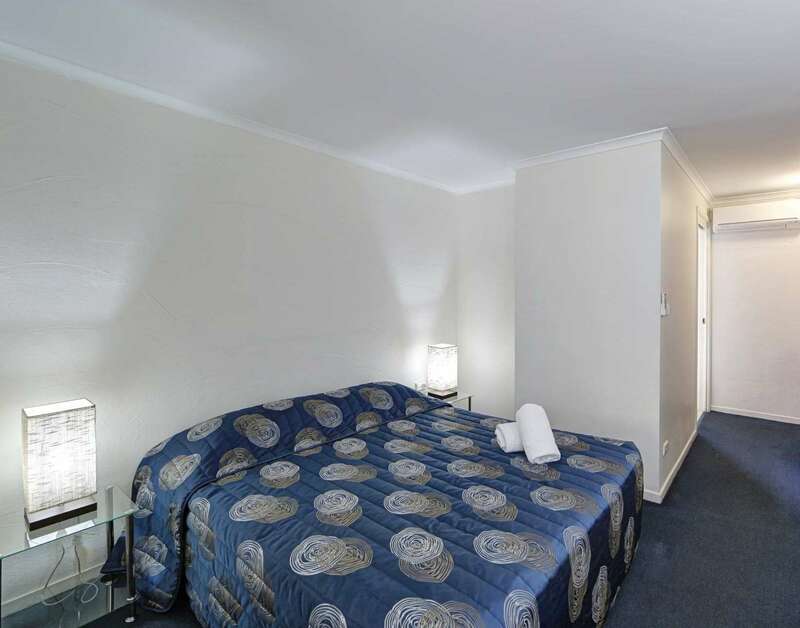 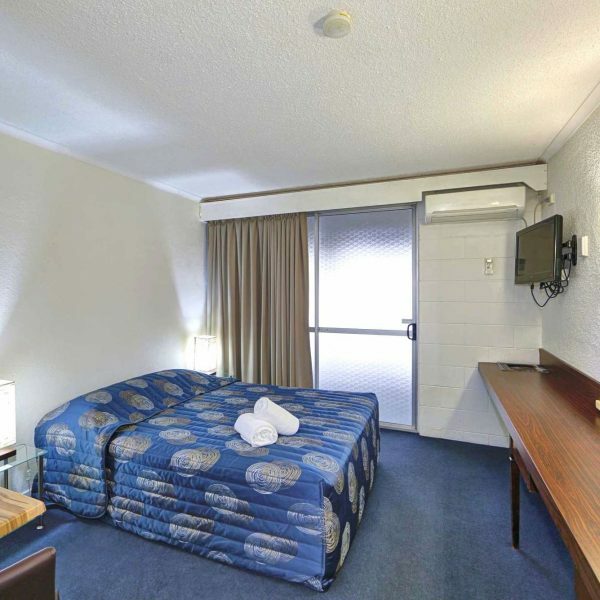 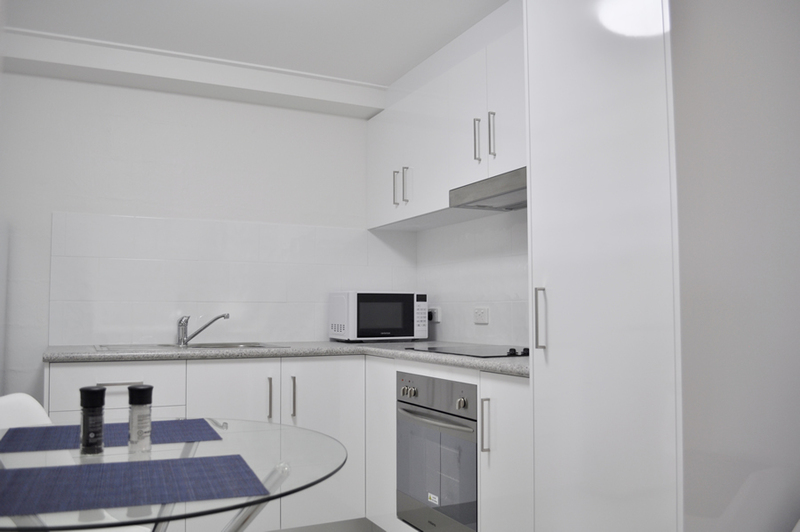 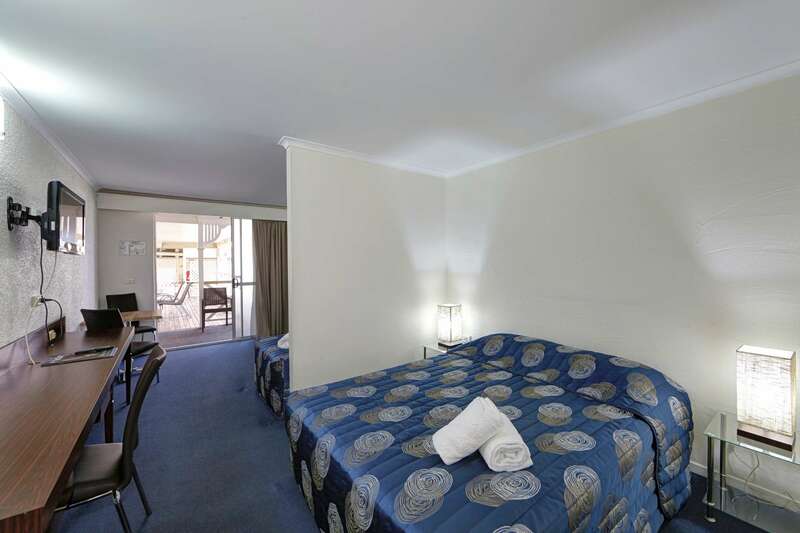 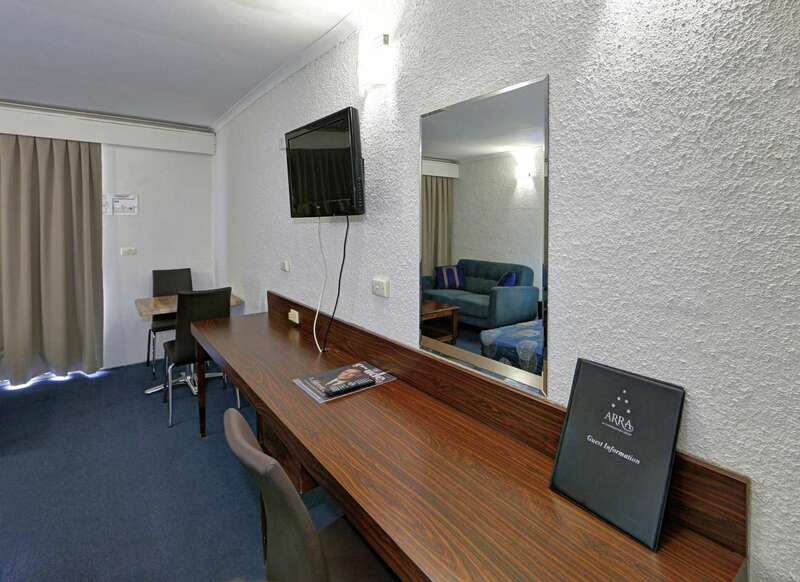 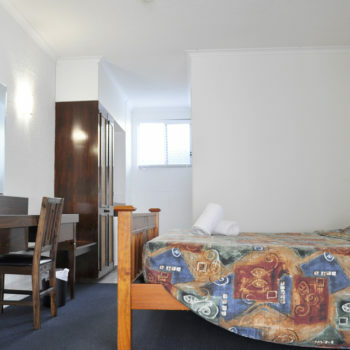 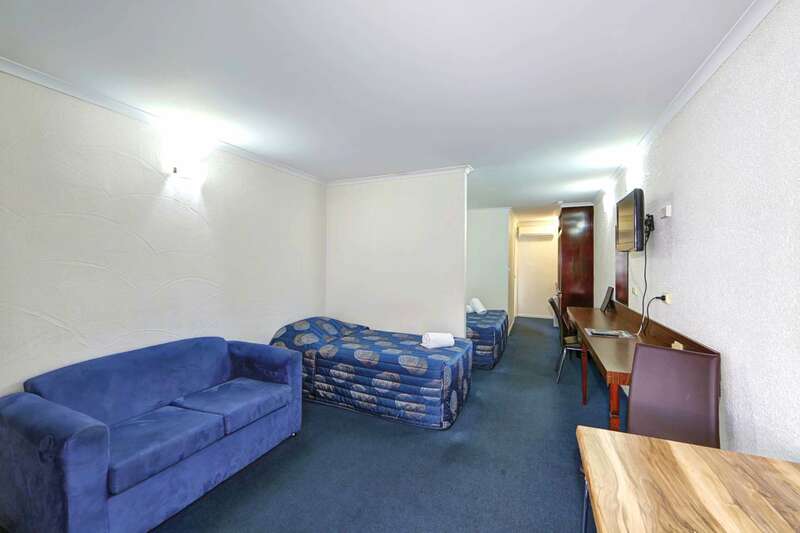 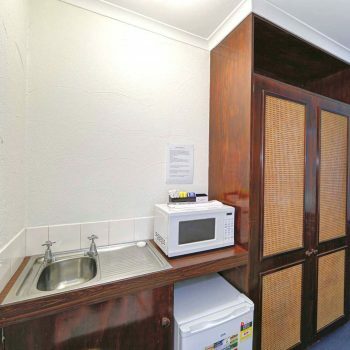 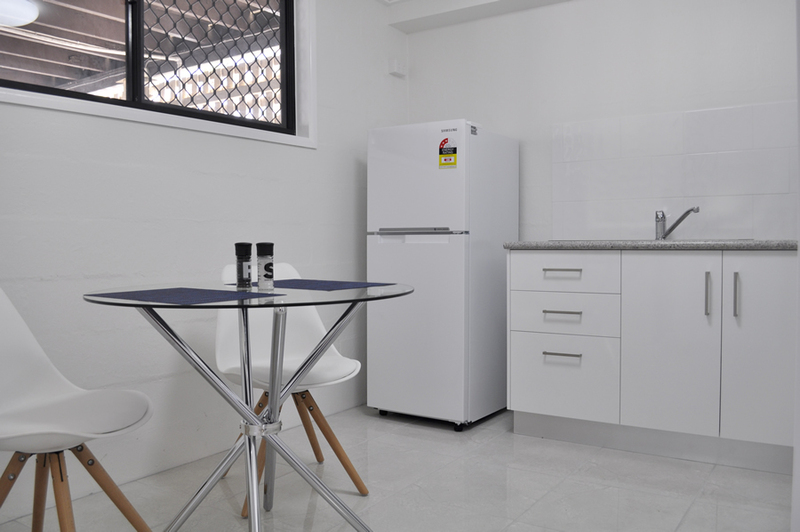 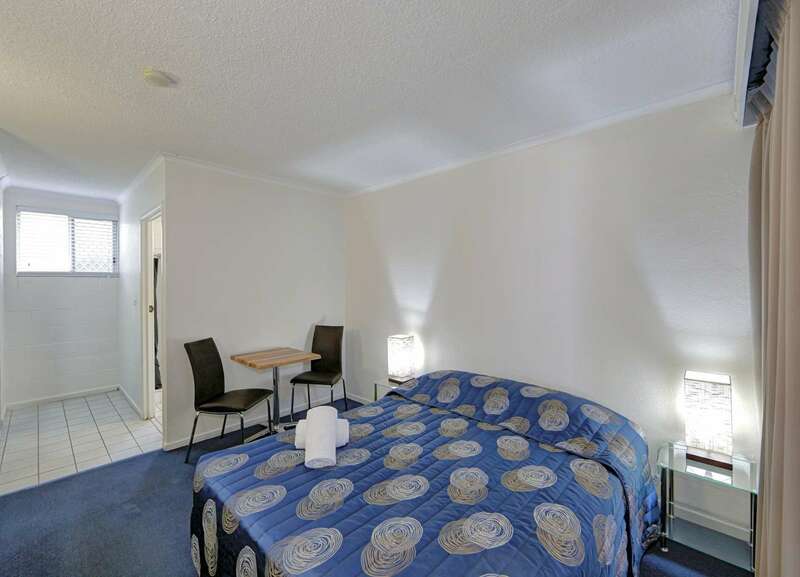 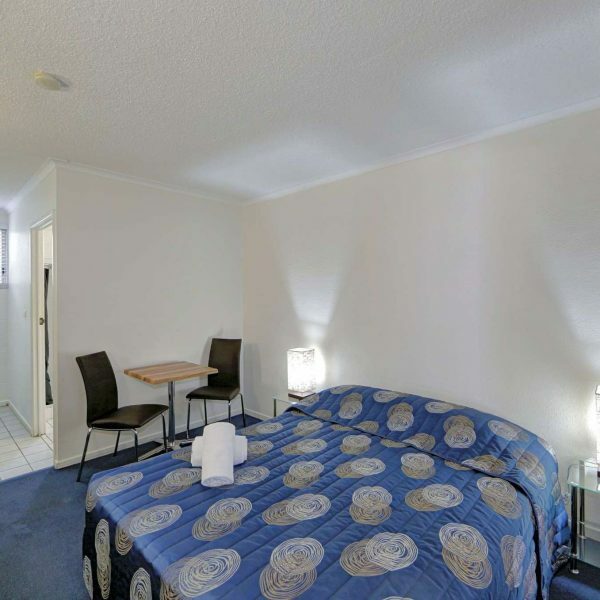 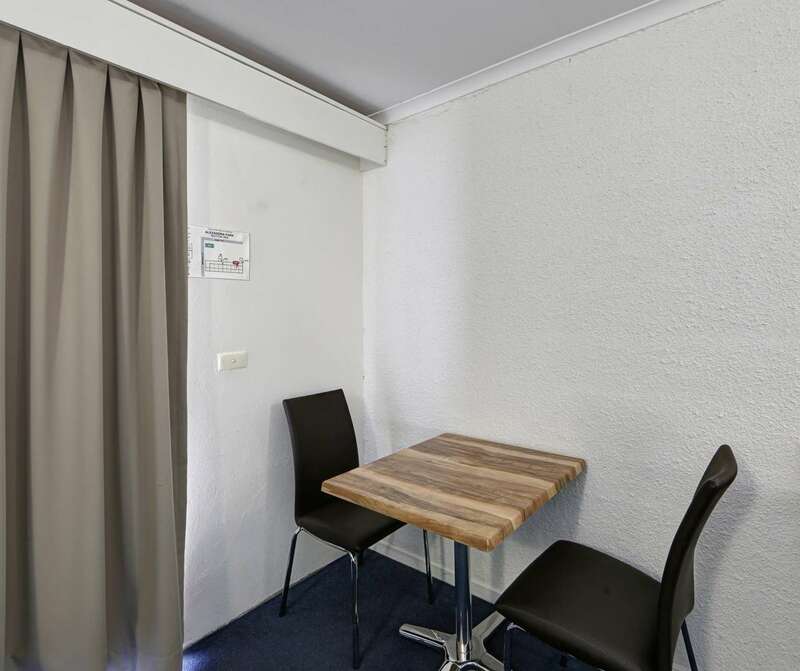 The room has free pay tv, unlimited wireless NBN and basic cooking facilities. 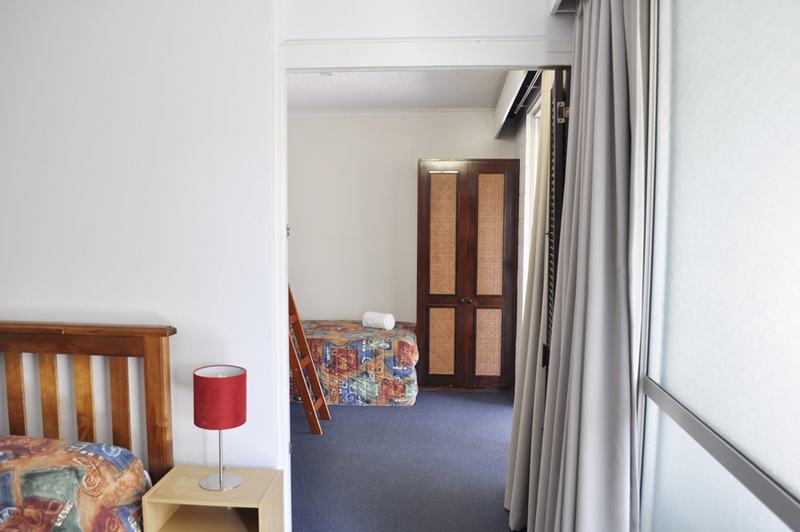 Twin Suites are on the second floor and have access to a communal balcony. 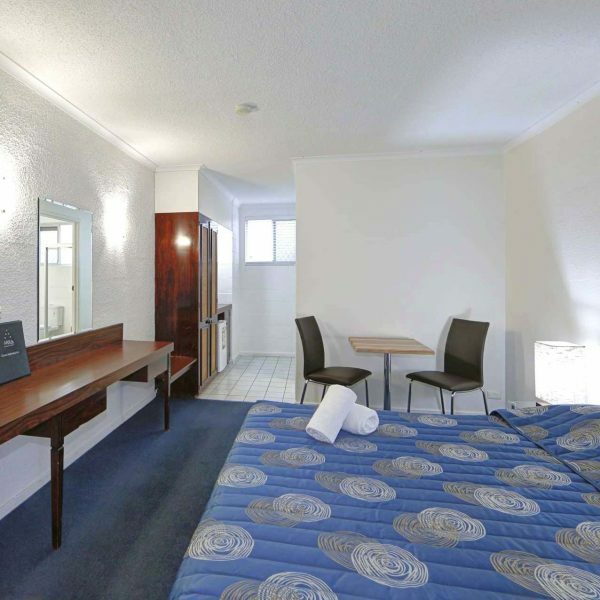 The Queen Suite is perfect for travellers seeking a spacious room at the right price. 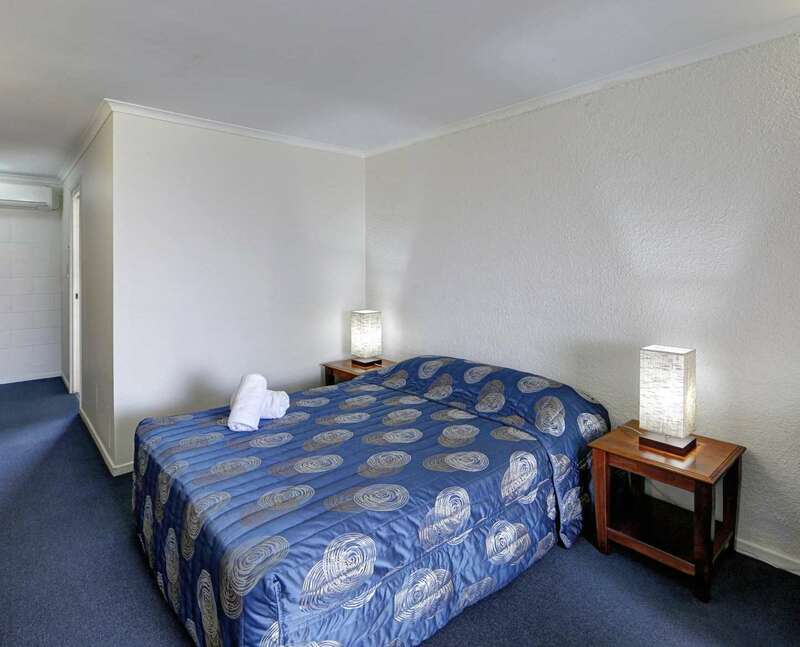 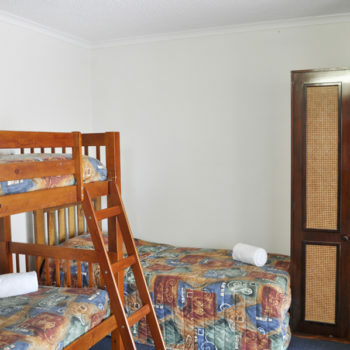 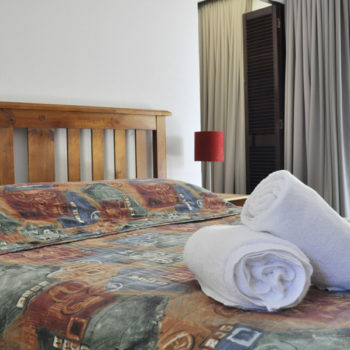 They are the best value rooms in Bundaberg, sleeping a maximum of two people in a queen bed. 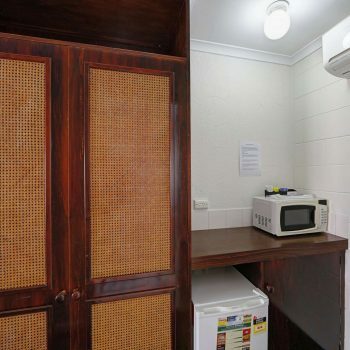 The room has free pay-tv, unlimited wireless NBN and basic cooking facilities. 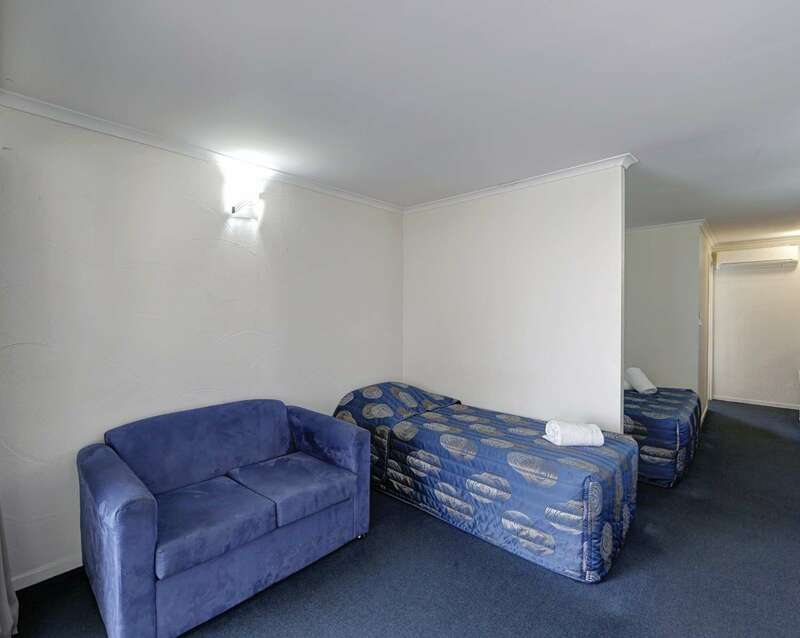 Queen Suites are on the ground floor. 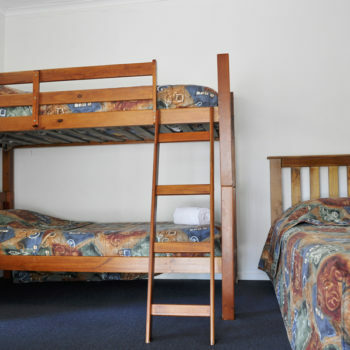 The room sleeps a maximum of three adults. 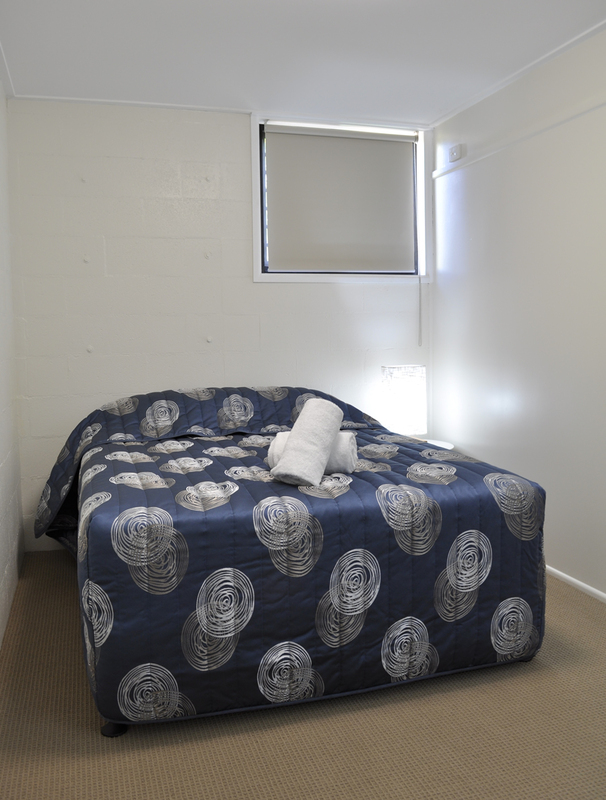 The first room has a queen bed for parents. 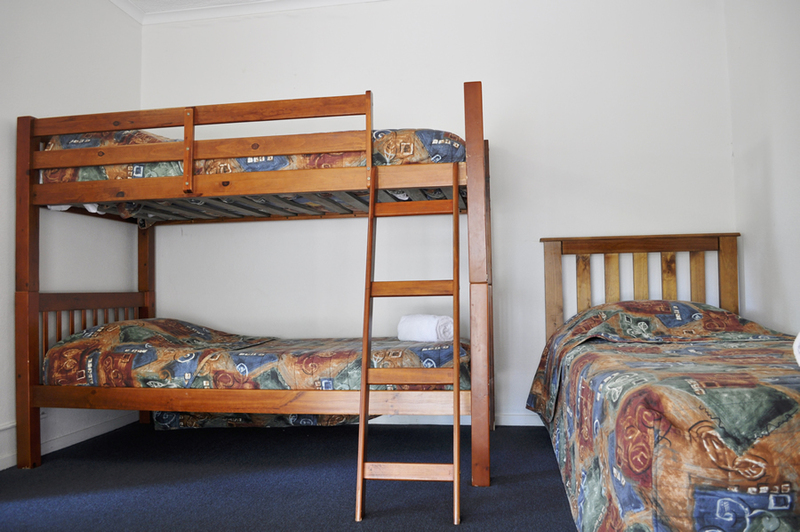 The second room has a single bed and set of bunks for kids. 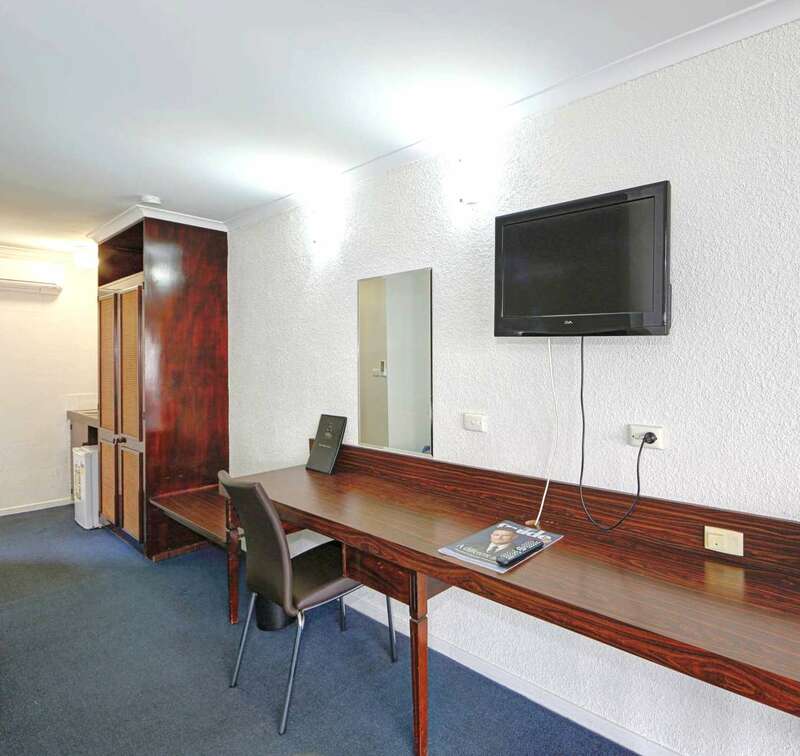 The room has free pay-tv, unlimited wireless NBN and basic cooking facilities. 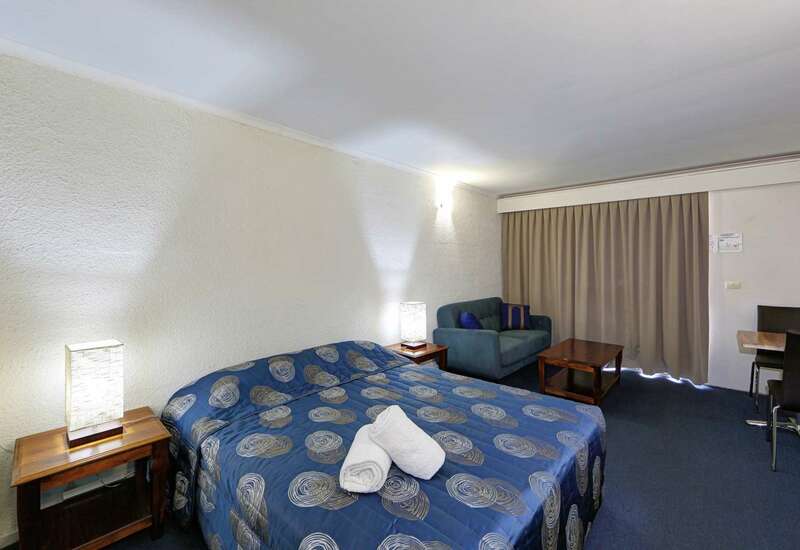 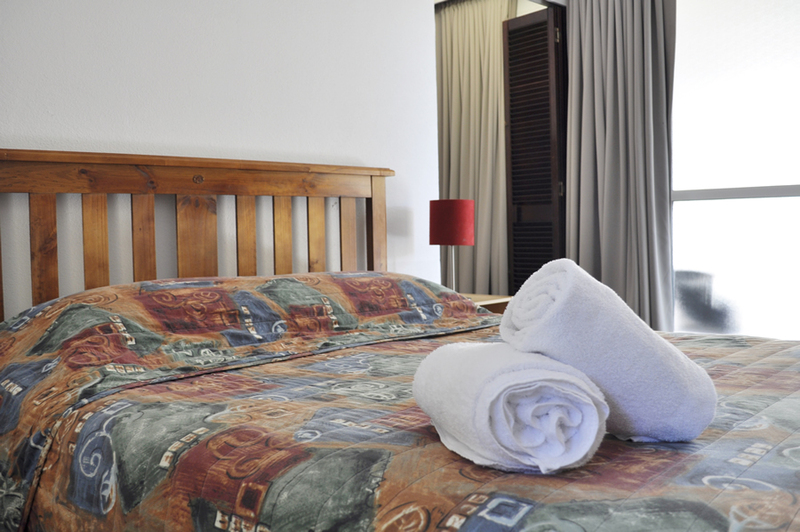 Family Suites are situated on the ground floor directly opposite the pool area. 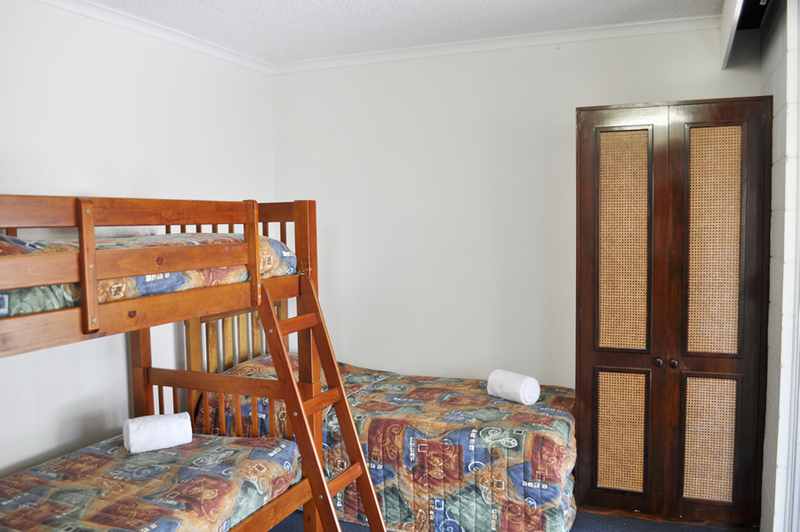 Weekly and Corporate rates are also available. 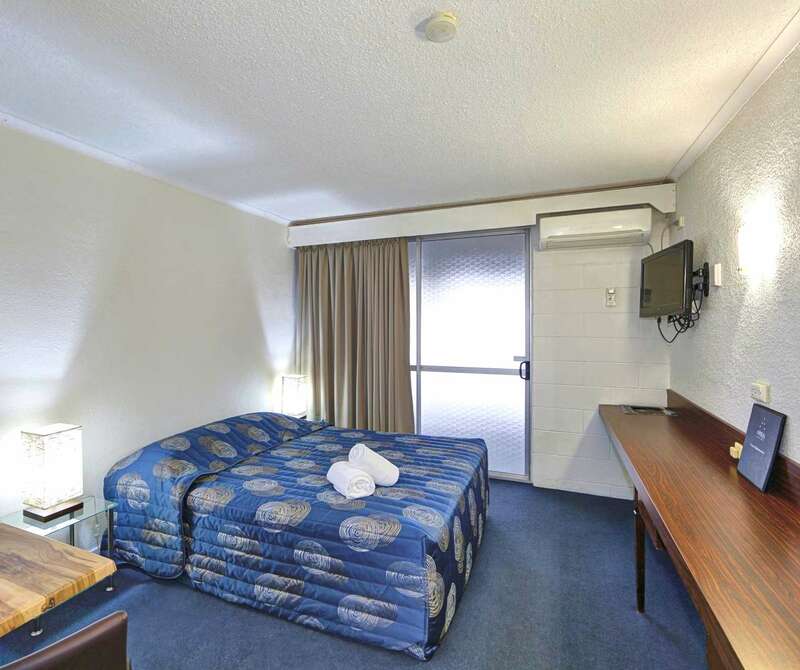 Please contact the motel directly for further information.